Successfully Added Switzerland Power Adaptor to your Shopping Cart. 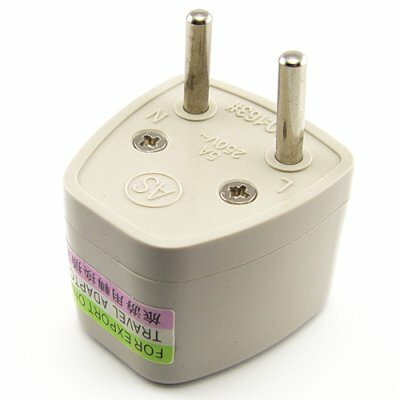 Power Adaptor featuring Switzerland plug, for adapting other worldwide plugs to the swiss standard. Great for travel. PIN MEASURMENTS From outside of pin to outside of pin = 22mm From inside of pin to inside of oun = 15 mm Pin Thickness: 3.5mm Pin Length: 17mm.